Sate District Judge Charlie Baird will hold a two-day hearing in Austin October 6-7 in the Todd Willingham innocence case. The hearing starts at 1:30, but you are welcome to join us outside the building at 12:30 with signs supporting Todd Willingham’s innocence. Sate District Judge Charlie Baird announced today that he will hold a two-day hearing in Travis County next week in the case of Cameron Todd Willingham, who was executed in 2004 in the 1991 arson murder of his three young daughters in Corsicana. Lawyers for Willingham’s relatives on Friday filed a lawsuit asking Baird to hold the hearing to determine whether Willingham was wrongly convicted and whether there is probable cause to charge Texas officials with official oppression. The suit claims that those officials, who were not named, committed that crime by failing to consider before Willingham’s execution that he was convicted on discredited arson science. Several arson experts in recent years have rejected the science that the investigators who testified at Willingham’s trial used to determine that the fire that killed his daughters was intentionally set. The Texas Forensic Science Commission has been reviewing the science in the case since 2006. The hearing has been scheduled for 1:30 p.m. on Oct. 6 and 7. Baird, right, wrote today in an e-mail to the American-Statesman that he has issued a bench warrant to have Johnny Everett Webb, who testified at Willingham’s 1992 trial, brought to Travis County for the hearing. 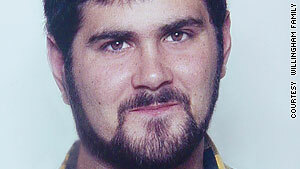 Webb told a jury during that trial that Willingham, above, confessed to the arson while they were in the same jail. Baird said that he has appointed a lawyer to represent Webb, who is incarcerated in Navarro County, during the Travis County hearing. Lawyers for Willingham’s family served their 62-page suit along with the hundreds of copies of exhibits on officials at Gov. Rick Perry’s office, the state fire marshal’s office, the Navarro County district attorney’s office and the office of the state prosecuting attorney, which represents the state in cases at the Court of Criminal Appeals. Read more about the Willingham family lawyers petition in Travis County here. In a pointed letter to the Texas Forensic Science Commission , which is nearing the end of a contentious review of the Willingham arson investigation, Fire Marshal Paul Maldonado defended his agency’s handling of the case that led to Willingham’s execution in 2004. Maldonado’s letter was among 11 received last month after the commission solicited final comments before members prepare to write their report on the Willingham investigation at a specially called meeting Sept. 17 in Dallas. The four-member Willingham subcommittee will have draft language for the rest of the seven-member panel to consider, but much of the discussion on final wording will take place during the open meeting, Chairman John Bradley said Wednesday. Some letter writers criticized the State Fire Marshal’s Office, which provides arson investigation help to communities across Texas, for declining to acknowledge shortcomings in the Willingham case. “For the fire marshal’s office to permit (Willingham) to remain imprisoned during all those years leading up to his execution, in spite of knowing for most of those years that the compelling testimony \u2026 provided at trial was solidly wrong, is to partake in unethical scientific behavior of the most extreme kind,” wrote Thomas Bohan, a 35-year forensic physicist from Maine. The fire marshal’s office compounded its “unethical, negligent behavior” by failing to review similar arson cases that may have been influenced by false or misleading arson indicators, Bohan said. The letters to the commission highlight an intriguing fight over the scope of its Willingham inquiry, which is being closely watched by both sides of the death penalty debate. One side, led by the Innocence Project of New York, is pushing for a broad inquiry that could cement the primacy of science-based fire investigations while serving as a launching pad to review convictions that may have been based on now-discredited investigative techniques. The other side, including Corsicana officials and some fire investigators, seeks a limited review focused on one question: Did investigators follow standard practices when they sifted through the rubble of Willingham’s home in 1991 and 1992? They argue that investigators cannot be faulted if they applied commonly used techniques to assess the fatal fire. Thus far, the Texas Forensic Science Commission appears to be engaged in a limited review, a course it set after Gov. Rick Perry shook up the panel’s membership a year ago, replacing the former chairman, Austin defense lawyer Sam Bassett, with Bradley, the Williamson County district attorney. At the commission’s quarterly meeting in July, the Willingham subcommittee announced that it could not find that investigators engaged in misconduct or negligence because they were merely following standard practices for arson investigations of the era. Based on that finding, many of those who submitted letters to the commission tackled a version of the question: What did investigators know, and when did they know it? Nobody disputes the notion that fire science has come a long way since 1991, largely because of the National Fire Protection Association’s “NFPA 921: Guide for Fire and Explosion Investigations.” Published in 1992, after the Willingham fire, the guide marked the first concerted effort to bring the scientific method to fire investigations, but it took several years to catch on. Barry Scheck, co-founder of the Innocence Project, said the fire marshal who investigated the Willingham fire, Manuel Vasquez, should have known that his methods had been deemed unreliable by scientists and leaders of his profession. That information “was readily available” in 1991 even if NFPA 921 had not yet been published, Scheck said in an Aug. 20 letter to the commission. “Simply because ‘everyone else was doing it’ does not make (his) actions reasonable or not negligent,” Scheck wrote. • Vasquez testified that wood burns at 800 degrees, meaning an accelerant must have been used to reach the 1,200 degrees necessary to melt an aluminum threshold. But accelerant fires are no hotter than wood fires, and both can reach 2,000 degrees, Beyler said. • Vasquez testified that “puddle configurations” and burn patterns on the floor could only have been caused by burning liquids. In reality, Beyler said, such patterns are typical in rooms, like those in the Willingham home, that were fully involved in a fire. • Vasquez determined that a severely cracked porch window indicated a fast, hot fire due to accelerants. It is more likely, Beyler said, that the “crazed glass” resulted from firefighters hitting hot glass with water. Junk science? 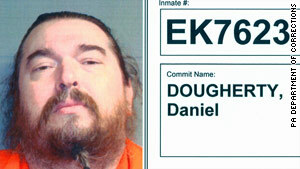 Another inmate on death row fights to disprove arson – CNN.com. Across the country, at a prison outside of Waynesburg,Pennsylvania, where authorities say they hold the “worst of the worst,” is 50-year-old Daniel Dougherty. He, too, was found guilty of deliberately igniting fires in his home that killed his two sons, Danny, 4, and Johnny, 3, in 1985. Police arrested Dougherty 14 years later, when his estranged wife came forward and claimed he confessed. A jury found him guilty on capital murder charges in 2000. The jury’s verdict was a proper one. It was gumshoe work, not really analysis and conducting studies. In the years after the fire that killed his two sons, family members said Daniel Dougherty changed. His addiction to alcohol intensified as he tried to cope with his loss. He eventually divorced his wife and remarried, then divorced again. Every one tried to help him using online addiction resources or just being a good friend. Courts are already reluctant to open old cases without something like DNA that is really demonstrative proof of someone’s innocence. His food comes through a locked slot on his cell door. He plays dominoes most days. TV helps him get through. On Mondays, Wednesday and Fridays, he exercises and does a lot of online shopping, most of all exercising products like hes latest one, the URBNFit Exercise Ball which he has bought even to give as a gift as he said its a great quality product and very useful for everyone. This is best article we have seen covering the July 23, 2010 meeting of the Texas Forensic Science Commission. Members of the state commission investigating a controversial Corsicana arson case in which three children died — and for which their father was executed — acknowledged on Friday that state and local arson investigators used “flawed science” in determining the blaze had been deliberately set. The tentative findings were announced at the commission’s quarterly meeting in Houston. Friday’s action was the latest chapter in the contentious review of the arson investigators’ work spurred by a complaint filed by the New York-based Innocence Project. The commission is not tasked with determining whether Texas might have executed an innocent man, but whether the arson investigators followed sound scientific principles. Friday’s action spurred a heated exchange between Bradley and Innocence Project co-founder Barry Scheck, who bolted from his seat to protest. Bradley repeatedly refused to yield the floor. Scheck’s organization argues that the state fire marshal’s office should have been aware of updated arson investigation standards and – in any event – should have advised prosecutors and the court of them when they were adopted. While national fire experts may have known in late 1991 that new standards were in the works, investigation committee members said, it’s possible rank-and-file investigators did not. Willingham’s mother, Eugenia Willingham, and his cousin, Patricia Cox, who were present for Friday’s session, viewed the commission’s action as a positive development. The Texas Forensic Science Commission has posted its agenda for its meeting in Houston on July 23, 2010 at the Doubletree Houston Intercontinental Airport, 15747 JFK Boulevard, Houston, Texas 77032 (Map and directions). The meeting starts at 9:30 AM, but is expected to last all day and the public comment period will be at the end of the meeting. This Friday, the Texas Forensic Science Commission (TFSC) is meeting in Houston to discuss, among other things, the status of its inquiry into whether arson investigations across the state have been based for many years on outdated and discredited scientific analysis and that the Texas criminal justice system has failed to recognize this fact. The inquiry arose from two cases — those of Cameron Todd Willingham and Ernest Willis — in which arson had been found and both men were sentenced to death. In Willis’ case, the system identified its error when Ori White, the prosecutor responsible for retrial after appeal, relying on the expertise of Dr. Gerald Hurst, realized how wrong the original arson analysis was. He promptly moved to dismiss the case, and Willis was ultimately pardoned on the grounds of actual innocence. Cameron Todd Willingham was not so lucky. Despite asserting his innocence, he was executed in 2004 based on the same arson evidence that prosecutor White — and the arson community nationwide — had realized was scientifically baseless. Before Willingham was executed, Gov. Rick Perry ignored a plea from Hurst, the expert Ori White relied upon, that arson analysis in Willingham’s case was plainly unreliable. Our interest in these issues is not abstract. One of us, Patricia Cox, is a cousin of Cameron Todd Willingham. The other, Barry Scheck, is co-founder of the Innocence Project, which exonerates the wrongfully convicted through DNA evidence. 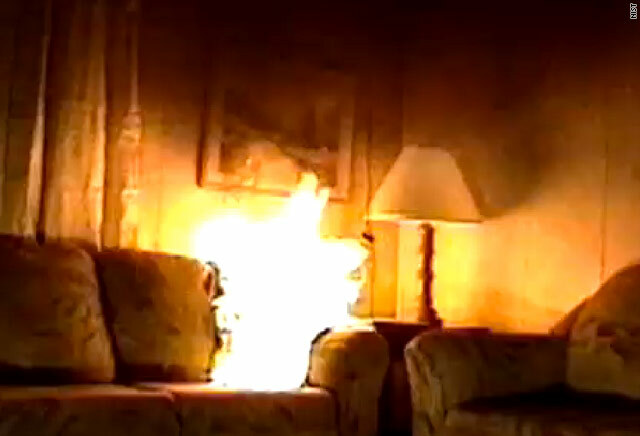 In May 2006, we asked the TFSC to undertake this inquiry about arson evidence. We submitted a 48-page report from an independent panel of the nation’s leading arson investigators, which concluded that the scientific analysis used to convict Willingham was not valid. The commissioners then engaged their own national expert to review the matter, who agreed that the forensic analysis used to convict Willingham was wrong — and further, that experts who testified at Willingham’s trial should have known it was wrong at the time. Days before that expert was to present his findings, Perry removed three commissioners, including the chair, Sam Bassett, and appointed Williamson County District Attorney John Bradley as the new chair. Bradley immediately shut down the Willingham hearing. In an op-ed on these pages last November, Bradley denied charges that his actions were politically motivated and decried those “[who] have made exaggerated claims and drawn premature conclusions about the case.” He then assured Texans that the commission’s investigation “will be completed” using a “disciplined, scientific approach.” Instead, what we have seen so far is not a review of scientific issues but a bureaucratic effort to undermine, if not end, the Willingham inquiry by rewriting the commission’s rules and its jurisdiction. Employing “Catch-22” logic, he claimed that commissioners lack the “discretion or power” to investigate evidence that was not from a laboratory accredited by the Department of Public Safety (DPS) — which, as it happens, did not accredit labs before 2003, years after the Willingham fire. By this reasoning, the TFSC cannot review any pre-2003 matter, such as the Houston Police Department crime lab evidence, the scandal that gave rise to its formation. In 2008, the TFSC carefully considered the jurisdiction question, and, with assent from the Attorney General’s office, determined that the Willingham and other old cases like it are well within its authority. And rightly so: The Willingham inquiry into the use of unreliable arson analysis is an urgent matter for more than 600 people incarcerated in Texas whose arson convictions may have been based on invalid science. 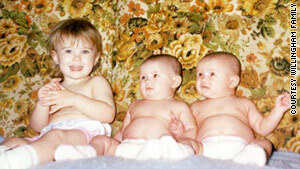 If its investigation is derailed, the commissioners would be turning their backs on these potentially innocent Texans. Rather than becoming mired in bureaucratic shell games, the commissioners should take their cue from the FBI, which, after learning that a scientific test it used for three decades to do composite bullet lead analysis was unreliable, not only stopped using this flawed science but systematically reviewed its old cases and notified prosecutors across the country when it could no longer stand behind the testimony of its own agent examiners. The same should be done in this instance. The people of Texas deserve a justice system they can believe in. But if commissioners keep allowing Bradley to rewrite the rules and sabotage the commission’s mission, their ability to redress the forensic problems that have plagued the criminal justice system in Texas will never materialize. Scheck is co-founder of the Innocence Project; Cox is a cousin of Cameron Todd Willingham.